Win one weeks holiday at The Boathouse - a gorgeous 5 star holiday cottage in the Norfolk Broads. In peak season that&apos;s an equivalent value of over £1000! The stay must be between the dates 1 Jan. 2018 to 31 Jan. 2019. The online booking process must be completed using a code supplied by us and bookings are subject to availability. Prize to be used in a single visit of a maximum of 7 nights (i.e. 7 nights cannot be split into short breaks). 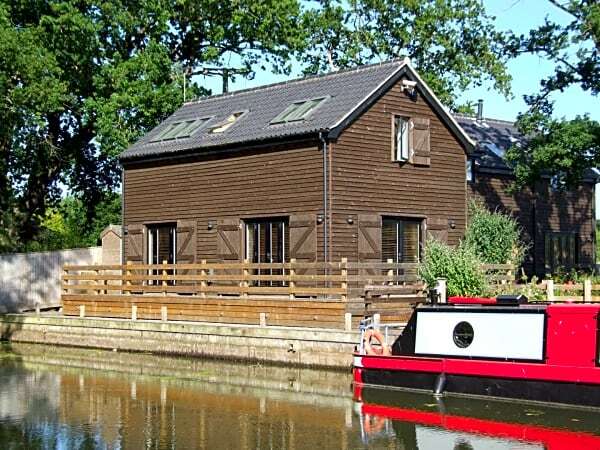 STAYGB LTD Terms and Conditions and the operator, The Vintage Boat Company property restrictions and Booking Terms and Conditions apply in full. The prize is not transferable to another person i.e. The winner must be the person identified as the "Party Leader" in the Booking Terms and Conditions and must be one of the guests staying at the property. The stay in The Boathouse is a free prize. However, to comply with insurance requirements a credit / debit card authorisation of £5 will be required by the Party Leader during the booking process. This is carried out in order for us to confirm the identity and the physical address of the person staying in the property. No money will be captured in this process and your card number will not be stored. There is no cash alternative. Duplicate use, sale or trade of this prize is prohibited.